Featured in Michael Fremer's Heavy Rotation in the April 2011 Issue of Stereophile - And the rest of us can simply rejoice in knowing that low-key songs such as “Sultans of Swing” and “Southbound Again” resonate with an airiness, openness, and palpability they’ve never claimed prior. A five-star pressing! Mark Knopfler's spare, tasteful guitar lines and distinctive vocals mark their self-titled debut album of bluesy tunes that even on first listen, sound as if you've just wandered into a local pub to hear a great rock band over a beer. Thanks to the Top Ten hit "Sultans of Swing," Dire Straits was a major success in both Britain and America, with the single and album climbing into the Top Ten on both sides of the Atlantic. 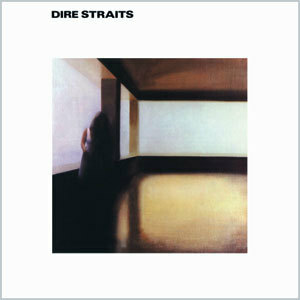 Dire Straits emerged during the post-punk era of the late '70s, and while their sound was minimalistic and stripped down, they owed little to punk. If anything, the band was a direct outgrowth of the roots revivalism of pub rock. Led by guitarist/vocalist Mark Knopfler, the group built their sound upon the laid-back blues-rock of J.J. Cale, but they also had jazz and country inflections, occasionally dipping into the epic song structures of progressive rock. And now, thanks to the meticulous efforts of Warner Bros., Dire Straits’ 1978 breakthrough debut can be experienced like never before. Remastered and cut from the original analog tapes and pressed on high-quality 180g vinyl, Dire Straits is simply out-of-this-world good. Knopfler’s mesmerizing guitar textures and cool vocals appear as if they’re right in front of you. Details, imaging, and presence are on a level associated with the finest audiophile recordings. As it’s proven for the last few years, Warner Bros. treats vinyl with the ultimate respect, and this must-have Dire Straits record is no exception. Listeners with original copies of the LP, or Simply Vinyl’s pressing, will be absolutely stunned upon hearing the improvements. And the rest of us can simply rejoice in knowing that low-key songs such as “Sultans of Swing” and “Southbound Again” resonate with an airiness, openness, and palpability they’ve never claimed prior. A five-star pressing!